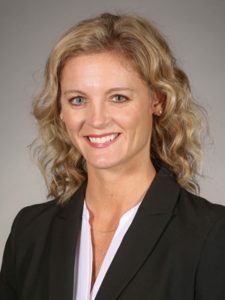 You are here: Home / Search for "Akin"
Fox Sports Knoxville was the first to report late Monday night that Missouri State women’s basketball coach Kellie Harper will be named the next women’s basketball coach at Tennessee. Harper will replace Holly Warlick, who was fired on March 27 after seven seasons. Harper played for the Lady Vols when Warlick was an assistant under Pat Summitt. Harper, who was Kellie Jolly at the time, won three national championships as a player under Summit. Harper will become just the third women’s basketball coach in Tennessee history. On Monday, CollegeInsider.com announced Harper as its Kay Yow Coach of the Year Award winner presented annually to the Division I women’s head coach. The Lady Bears appeared in the final USA Today Coaches Poll in the 24th spot, their first national ranking in 15 years. Ride The Ducks Branson is not operating this tourist season. The company made the announcement today on its website. 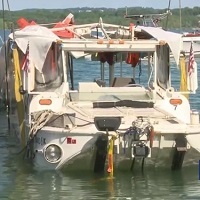 Ongoing investigations into last summer’s deadly boat sinking in southwest Missouri’s Branson has forced the company to step back on offering the boat tours. Multiple lawsuits are pending in the event that killed 17 people during a fast-moving severe thunderstorm last July on Table Rock Lake. Missouri’s minimum wage has increased with the passing of the new year. Beginning today, workers receiving minimum pay will now make $8.60 per hour, up from $7.85 in 2018. With the passage of Proposition B in November’s election, the wage will increase 85 cents a year to reach $12.00 in 2023. The campaign committee supporting the ballot measure was Raise Up Missouri. It was criticized during the election cycle by Democrats, who generally support a higher wage, for accepting large outside contributions from organizations that don’t report their donors. Among the organizations opposing the wage hike was the St. Louis based free-market group Show-Me Institute. Attempts to increase the minimum wage by the state’s two biggest cities was blocked by the Republican-dominated state legislature in 2017. It passed a law preempting a city ordinance in St. Louis that would have set wages at $11.00 in 2018. It also prevented an increase to $15.00 by 2022 in Kansas City that city voters had approved by a 75% margin. A minimum wage hike had actually gone into effect in St. Louis after legal wrangling in the courts a week before the legislature passed its measure barring the increase. St. Louis went through a four-month period in 2017 before the law went into effect in which its minimum wage was $10.00 before reverting to $7.70, the minimum pay benchmark at the time. 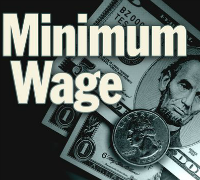 After the new minimum wage increase tops out at $12.00, further hikes will be tied to the cost of living, a standard that has been in place since 2008. According to the National Employment Law Project, Missouri is among 19 states and 21 cities to phase-in minimum pay hikes in 2019. Before passage of Proposition B, minimum wage ballot measures have had mixed results in Missouri. In 1996, more than 71% of voters rejected Proposition A, that would have increased the state wage from $4.25 in 1996 to $6.25 in 1997 and an additional $0.15 each year thereafter. But Proposition B in 2006 was approved by a 76% margin. It increased minimum pay from $5.15 in 2006 to $6.50 in 2007 and ushered in the Consumer Price Index adjustment. Proposition B was approved by a 63%-to-38% margin in November. According to the Missouri Department of Labor, employers in retail or service businesses whose annual gross income is less than $500,000 are not required to pay the state minimum wage. Those businesses are not subject to the minimum wage law can pay employees wages of their choosing. Tipped employees must be paid half of the state minimum wage rate. I’ll recap the NFL weekend. If the Chiefs don’t win the AFC West, I think another player besides Patrick Mahomes should win the MVP award. I’ll tell you. Plus, Garrick McGee the interim tight ends coach for Mizzou is making a big impact already. Our Bowl Bound updates begin. Breaking down the Mizzou offense in 2019. Cuonzo happy to see production from his freshman in the Tigers big win. homecoming of sorts for one of the state’s all-time prep stars. Plus, the Ravens provide an interesting matchup for the Chiefs. Bryant will bring an element of a run-pass option behind an offensive line that will return three starters in Yassir Durant, Christian Colon-Castillo and First-team All-SEC Tre’vour Wallace Simms. The run game returns Rountree, Crockett, sophomore’s Tyler Badie and Simi Bakare. A young wide-receiver corps of Jalen Knox, Kam Scott, Dominic Gicinto, Alex Ofodlile, along with veterans Johnathon Johnson and Richaud Floyd and another commitment that came Tuesday night shortly after Bryant’s announcement…former Arkansas wide receiver Jonathan Nance also announced his commitment and intention to transfer to Missouri. The running game will return over 2,200 yards of production. Ameren Missouri, the state’s largest utility, has taken initial steps to enter the renewable energy supply chain over the next several years. Since May, the investor-owned power company, which still derives 71 percent of its electric generation from heavy polluting coal-fired plants, has announced plans for three wind and solar projects. The first of them was an agreement to acquire, after construction, a 400-megawatt wind farm in northeast Missouri, the largest ever in the state. The company says that adding more wind energy will help it achieve its goal to reduce carbon emissions 80 percent by 2050. It estimates that energy produced by the wind farm will power 120,000 homes by 2020, which translates to 10 percent of its 1.2 million customers. The northeast Missouri facility would-be built-in Adair and Schuyler counties with groundbreaking expected in the summer of 2019. The farm would consist of 175 American-made wind turbines that will stand more than 450 feet above the ground. A second wind generation facility of up to a 157-megawatts was announced October 22nd to be located in northwest Missouri. The farm is slated to be built in Atchison County, and when operational in 2020, produce enough energy to power 47,000 homes. Ameren currently operates four coal-fired plants that form a ring around the St. Louis area. The largest of them, the Labadie facility, produces 2,400 megawatts of power. 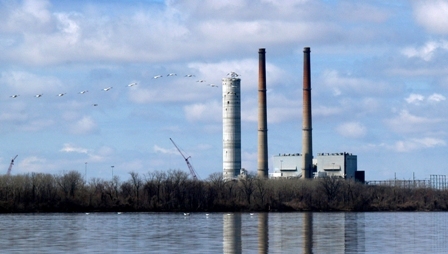 It’s followed by the Rush Island plant which generates more than 1,200 megawatts, the Sioux facility in West Alton that produces 1,100 megawatts and the Meramec plant in St. Louis which is scheduled to close in 2022. It generates just over 900 megawatts. Besides emissions, an additional environmental issue at coal-fired power plants is Coal Ash, which is produced from the burning of coal. Coal Ash, which contains toxins harmful to humans such as arsenic and mercury, is typically disposed of in units known as landfills and ash ponds adjacent to the power plants. Of recent concern was significant spillage of coal ash into the surrounding environment near Duke Energy coal plants in North Carolina during flooding in September from Hurricane Florence. The two wind farms planned by Ameren Missouri are subject to a number of conditions. The Missouri Public Service Commission approved construction of the 400-megawatt farm in northeast Missouri on October 24th, but the utility is still waiting on permission to build the Atchison County facility. 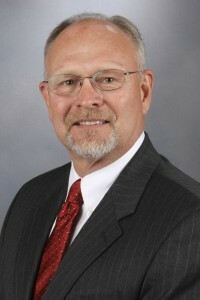 The company is also working to obtain transmission interconnection agreements from the Midcontinent Independent System Operator (MISO). MISO is a non-profit organization that coordinates, controls and monitors the use of the electric transmission system by utilities, generators, and marketers. The Public Service Commission recently gave approval to Empire District, the state’s third largest investor-owned utility, to build a major wind farm which will eventually allow it to shut down its lone coal-fired plant in southwest Missouri near Joplin. Empire was purchased by Toronto based Algonquin Liberty in late 2016 for $3.2 billion. The utility is also taking baby steps into solar energy. It recently launched its Community Solar pilot program, an option available to residential and small business customers who support renewable energy but don’t have the space available for solar panels. Ameren has proposed the construction of a one-megawatt solar facility just north of St. Louis Lambert International Airport. Matt Forck, assistant vice president of community, economic development and energy solutions at Ameren says solar is something that customers have asked for. He points out the pilot program could be a good fit for people who rent their home, live in an area with large trees and shading issues, or don’t have the means necessary to otherwise participate. He adds that customers could use solar to supply up to half their energy usage. “One reason we did that is so we can have as many customers take advantage of this as possible,” Forck said. The utility estimated 400-600 customers could access power through the one-megawatt solar facility. In the next few years, Ameren says it will be adding a significant amount of clean resources onto the grid. The Sierra Club’s Hickey says the first steps the utility is now taking are a refreshing sign given its history as a major polluter. “Given that right now Ameren is the dirtiest utility in the state of Missouri, is the most dependent on coal, we’re particularly excited to see that Ameren is now moving toward clean energy,” Hickey said. In 2019, the Missouri Department of Elementary and Secondary Education will be led by none other than former K-12 education commissioner Margie Vandeven. She was unanimously chosen Monday to lead the department of about 1,650 workers. The Missouri Board of Education met behind closed doors Monday in Jefferson City. Members spent about nine hours interviewing finalists one by one and then made a decision. Other finalists for the job included familiar faces. Interim commissioner Roger Dorson and Superintendent Eric Knost of Rockwood School District in St. Louis County were also in the running. The fourth candidate is unknown. Vandeven says she was nominated for the job. The department head will earn an annual salary of about $200,000. 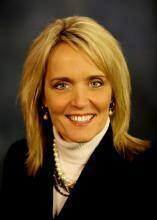 She will work with 518 Missouri public school districts. Tuesday’s announcement comes nearly one year after drama broke loose and five previous board members voted in favor of ousting Vandeven. The members, who are no longer serving, were appointed by former Gov. Eric Greitens with the intent of firing Vandeven. Dorson had been leading the charge since Vandeven’s removal last year.